• The Complete Dramatic Score from the 1965 film set in Africa starring ROBERT MITCHUM, CARROLL BAKER and IAN BANNEN. For over forty years, John Barry lent his distinctive musical voice and keen dramatic sensibility to the art of scoring motion pictures. This early example of his work, although modest in scope, bears witness to his giant talent. 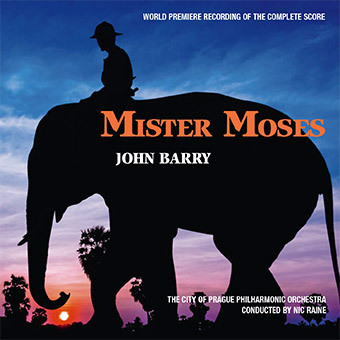 With cannily crafted materials and carefully chosen colours, he brings to Mister Moses – a film largely forgotten today – an unforgettable musical landscape with “form and shape” that lingers far beyond the film that inspired it.